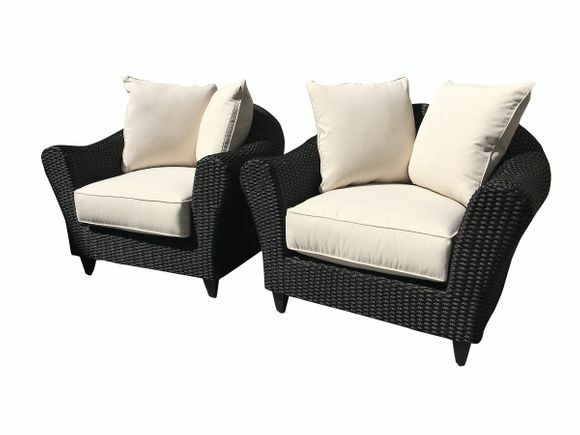 Lane Venture is the manufacturer of this upper end set of 2 outdoor wicker chairs. Made of synthetic wicker on an aluminum frame the La Joya chairs are suited for carefree total outdoor use. Not only are the plump,box welted cushions made of Sunbrella high performance outdoor fabric the cushions are made of polyester outdoor fill and are self draining. Features 2 contemporary back cushions and large rounded arms and backs. Covered by the Lane Venture 5 year warranty.